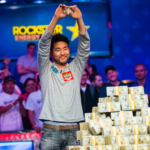 2018 WSOP Winner - The Best Poker Players Take The Pot! As the 2018 World Series of Poker is set to come to an end this week, the most anticipated tournament on the schedule has concluded. 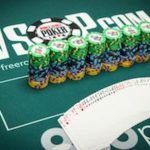 The WSOP 2018 Main Event is the one tournament of the series that everyone wants to take part in. This year, the WSOP Main Event saw 7,874 players competing, with several unusual things taking place during the tournament. Read on to get the highlights of this popular World Series of Poker event! The WSOP Main Event always starts with much fanfare as the best of the best sit alongside amateurs, all hoping to be the last player standing. Phil Hellmuth is one of several poker pros that is always in attendance, taking part in the Main Event. Hellmuth never enters the game floor without making a spectacle of himself and this year was no exception. Hellmuth showed up for the 2018 WSOP Main Event dressed as Thor, holding the infamous hammer, and was followed by several models dressed as Wonder Woman. Unfortunately for Hellmuth, he would only make it to Day 3 before he was eliminated. The pro raised pre-flop holding Ace-King off-suit when he was re-raised all-in by Jans Arends with Ace-9 of Diamonds. Hellmuth called and was put out on the river when a 9 appeared. As the tournament progressed, the players would be whittled down to ten – waiting on the final nine to be set for the final table. The way the tournament was narrowed down was pretty crazy. Nicholas Manion was dealt pocket aces and he decided to raise $1.5 million to get the ball rolling. Rich Zhu and Antoine Labat called each holding pocket kings, thinking the unknown player was bluffing. Manion would then go all-in and there would soon be more than $76 million on the line as both competitors called. Manion is not known on the poker scene at all so the two pros felt like he was bluffing apparently, but he wasn’t. The newbie has only competed in an MSPT event (Mid-States Poker Tour) and he would soon be the chip leader going into the final table as his aces took the hand, sending Zhu home in 10th place and leaving Labat with barely any chips left for the final table. Manion ended up finishing in 4th place, quite an accomplishment for the player. Fast-forward to the heads-up round and you have John Cynn and Tony Miles remaining. 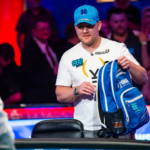 The two would go on to make history in the longest-ever final table of the WSOP Main Event as they traded the chip lead back and forth for almost 12 hours. Cynn would hold the chip lead and would flop trip kings, after calling a flop bet from Miles. Miles would shove-all in on the turn when he paired his eight but would draw dead, with Cynn earning the hand and the Main Event win. The tournament would conclude in the early morning hours, just before 5 a.m.
John Cynn won $8.8 million!